I so love this idea, and have thought of this for my home for a long time now. How many times can we not find the curtains we would like for a room in our homes? Maybe you find the curtains, but then there is the cost of them which can be pretty spendy at times. How many times have you found some old vintage sheets, a table cloth, similar materials, and thought I wish I could find material like this for my curtains. This would be fabulous as curtains, but how frustrating to not find the same materials to use. So, why not make them yourself? 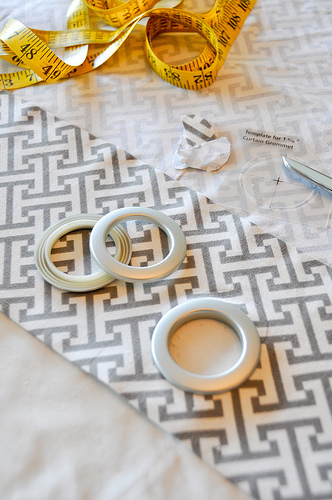 You can make curtains using a sewing machine, but you can also make no sew curtains using some fabric glues, hot glue, or some ultra bonding strips too. There are many tutorials that can be found giving you instructions of using these supplies. You can make full length curtains, and use some clips. 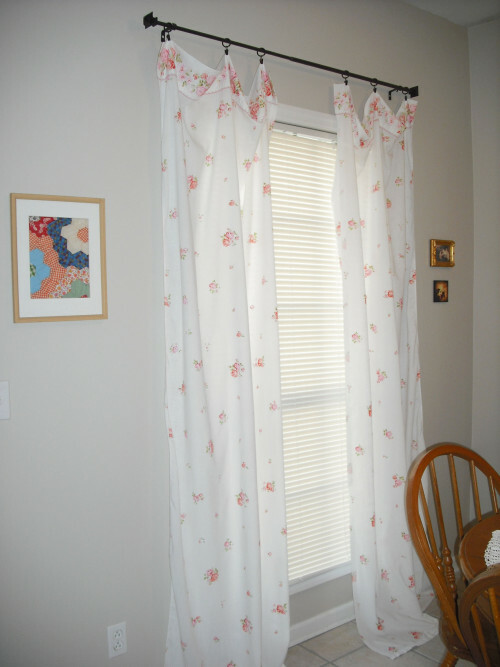 Maybe you would like curtains that have the tabs at the top which can be made with the no sew method too. If you like grommets that is possible to work with as well. Another frustrating issue is maybe you have curtains, moved, and now they are not long enough for the windows in the new home. To pinch a few more pennies try lengthening them yourself by adding material to it, or maybe you just want to dress your already curtains by adding a strip here, a strip there, different shapes, and etc. 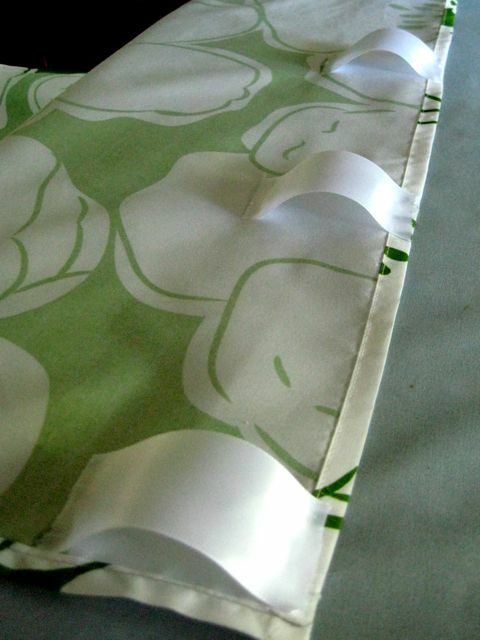 So, find some of your favorite sheets, table cloths, extra materials on hand, and start creating. Supplies needed will be a sewing machine if you wish to sew, scissors, ultra bonding tapes, glues, don't forget the iron, and a tape measure is helpful too. See the pictures above for some tutorials on some simple methods to make your curtains, and have fun! Making your own gives it more of a personal touch, and you get more of what you are looking for too. Hey, thanks so much for sharing your time with LilacsNDreams, and I hope you found this No Sew Curtains topic to be helpful to you. Take care, and come back to visit again soon. So lovely blog, ¡¡so nice Graphics Design!!!!! So nice colors, and cool post.